Ukraine bus travel. How to? Undoubtely train is number one public transport in Ukraine. However buses are also very useful, specially when you travel to remote areas or other regions uncovered with railway network. Large buses operate on long interregional and international destinations. Consider taking ’em only if there is no train tickets available or if you’re getting out/in to Ukraine. International trains are way more expensive than buses on the same route. Marshutkas (small buses) operate as public transport in cities and take passengers around the country not far from regional centers. Marshutkas are super useful to get around off the beaten track. Bus travel is less comfortable than train and can be pretty painful on a long trips. Bumpy roads won’t let you sleep or even read along the way. But they are simply awesome if you need to get off the beaten track. Ukraine buses and marshutkas virtually go to every corner of the country where are paved and even unpaved roads. They are cheap and frequent. 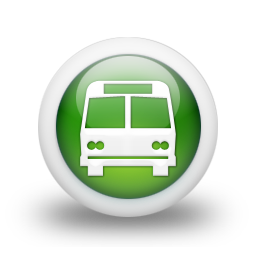 You can check schedule and buy tickets for most Ukrainian bus destinations on-line. There is English language page where you can buy bus tickets in Ukraine. See ticket.bus.com.ua. Unfortunately number of destinations is limited in aforementioned option. But anyway try your luck. Maybe there is a town on a list where you need to go. If not then check out Bus.com.ua (only in Ukrainian). It is major on-line bus travel resource in Ukraine with comprechensive search options, wide range of destinations and on-line booking system. How to buy bus ticket in Ukraine tutorial is on the way. Note that I have train ticket tutorial on this site too. Buses are excellent for short trips and getting to remote areas uncovered with railway network. But better to take train for long trips and night journeys.